It finally arrived! 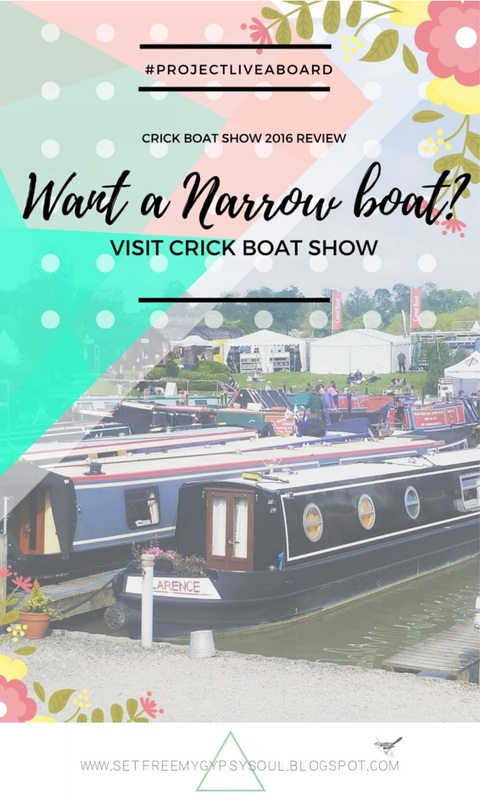 The Crick Boat Show 2016! ... and it was AWESOME. 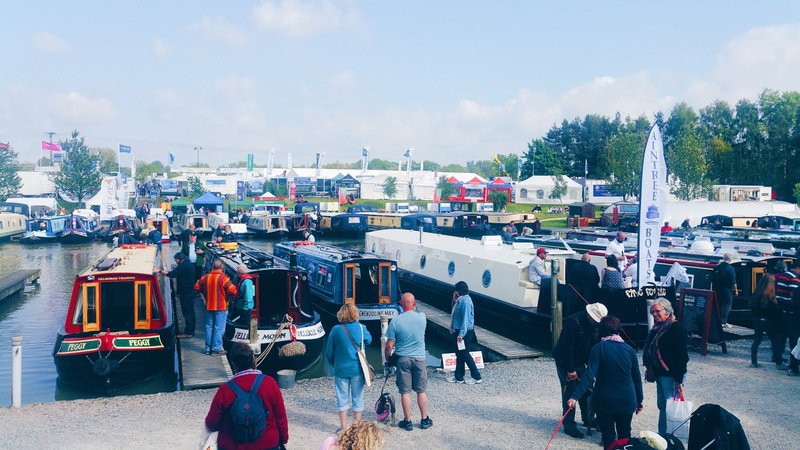 There is just way too much for me to fit into just one post, so today is a quick overview of the 3 day event which is organised by +Waterways World Magazine and is the UK's largest inland waterways festival. But stay tuned this week for more in-depth details of our wonderfully fascinating and informative weekend being introduced head first into the boating community. 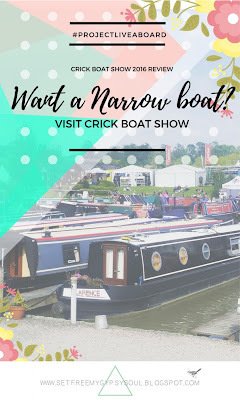 So sometimes I can look forward to something so over enthusiastically that when I actually get there or do it, its a bit of a let-down... but OMG so not the case with the Crick Boat Show! Mr B and I just loved it! We learned so so much, met a whole bunch of amazing people and even did a total about-turn on the Widebeam Vs. Narrow boat debate. I do still long for my beautiful Wheelhouse though!! If you are a newbie like us and either planning to buy a Narrow boat and live on the canals of Britain or just considering the idea for a weekend leisure craft you absolutely NEED to go to this show. Every aspect of boating is covered and +Waterways World put on a whole 3 days of seminars hosted by experts in their fields and real life boaters, and these provided us with invaluable nuggets of information. The showground itself was actually much bigger than we expected it to be but really thoughtfully laid out and super clean! Nice big walk ways and enough to keep us entertained every day for 3 whole days... and that can be a challenge for us, so kudos there! See that beautiful narrow boat Jellicle Moon? We actually 'drove' that! 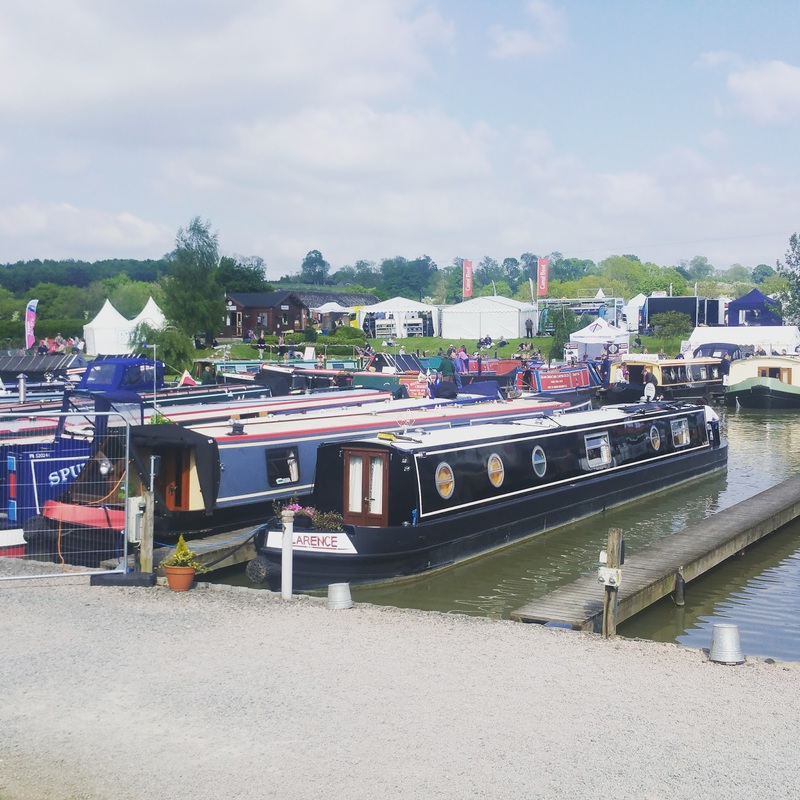 +Crick Marina is just beautiful with big grassy banks to sit and take in the atmosphere and provides a chance to see not only the top exhibitors with their brand spanking new and totally beautiful looking boats for viewing, but also experienced boaters and their actual lived-in narrow boats. Having next to zero confidence in our knowledge of the technical aspects of Narrow boats when we arrived on Friday, we left on Monday having actually DRIVEN a 55 ft Narrow boat out of the Marina and turned 360 degrees in a winding hole. More on that awesome Boat Handling Session soon! We had conversations that expanded our knowledge and understanding but also our confidence and ended up happily discussing boats and boating with exhibitors and fellow visitors to the show. Crochet Bunting Tutorial coming soon! 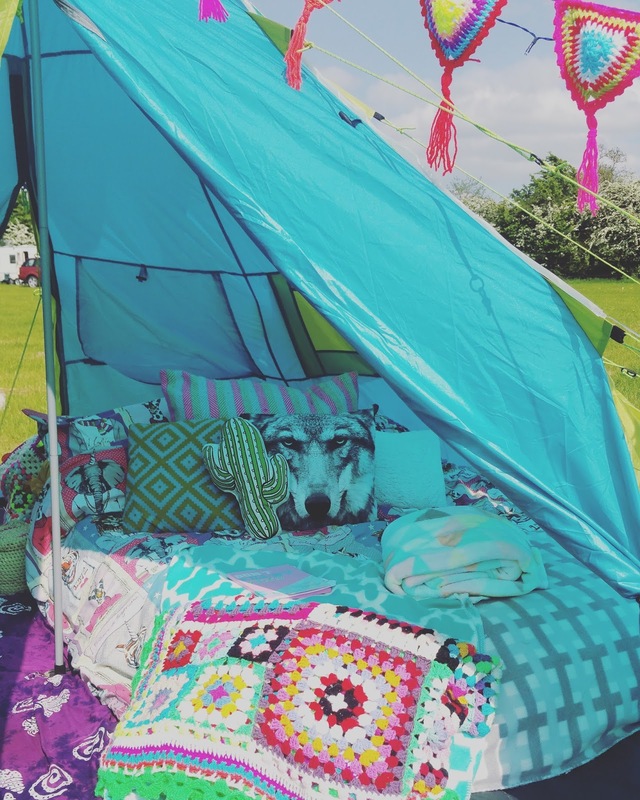 We camped Friday to Monday and the Crick Boat Show campsite is one of the most organised we have been to and really well run, with security on site at all times and keeping the site family friendly. Plus some of the best porta-loos I have ever seen... clean and always well stocked with soap, paper towels etc. and with actual real pretty picture frames hanging in each cubicle. These small things mean a lot to a child bought up by a germophobic lab technician. +The Wheatsheaf Bar and entertainment marquee was a blast with a great sound system and a whole 3 page menu of beers and ciders to try. We got through a few of those on the Saturday night listening to Blondied rock out like it was 1987. Good times indeed! Tom Robinson really bought the house houseboat down on the Sunday. Meeting Sarah, Amelia, Bobby and Laura from +Waterways World was so much fun and the ladies were just great to spend the afternoon with viewing boats and talking about not only our plans for living aboard on a Narrow boat but also their own personal experiences. I am really looking forward to keeping in touch with them and meeting up again in the future on our #PROJECTLIVEABOARD journey. Last but not least, especially for foodie Mr B, although I packed enough food for an army of campers, there was a wide variety of cuisines in the food court including veggie options. 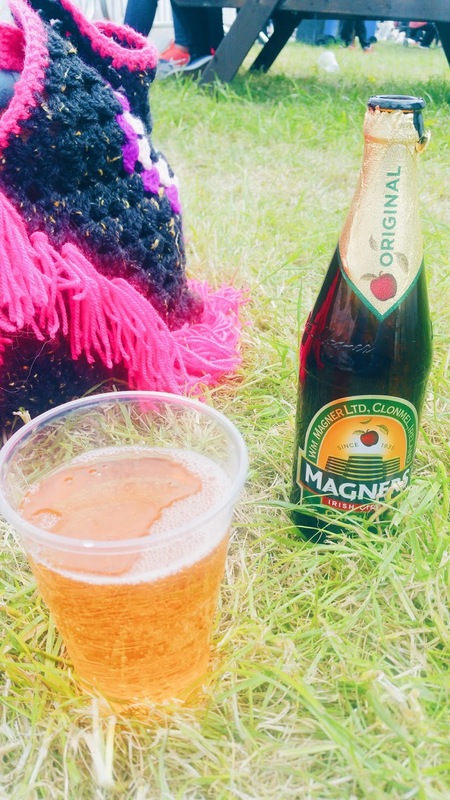 Plus the arts and crafts tent had an abundance of home crafted sweeties and cute homemade gifts.
" 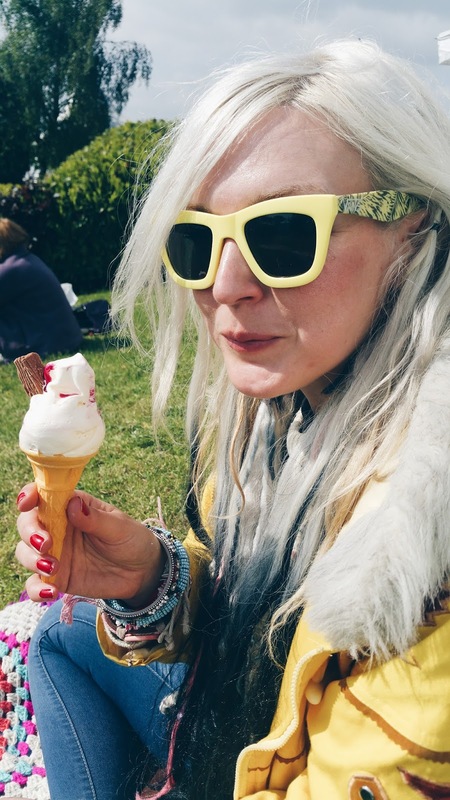 You Scream, I Scream... We all scream for Ice-cream! " If you are thinking of living aboard on a Narrow boat or Widebeam as your residential houseboat, or even just wanting to cruise for leisure on the weekend you need to make this a must on your to do list prior to buying your boat! The information you can glean from the +Waterways World seminars and other boaters who are more than happy to answer any questions you have is invaluable. I would also recommend camping the whole weekend as we did as it really gives you a taster of the community and boating world - there is heaps to learn and what better way than to take it all in in the reals rather than through your computer screen. Mr B and I will definitely be booking up to camp for the 3 days again next year... or who knows, maybe we will even be mooring up with our dream boat. If you enjoyed this review, check back later in the week for more detailed info on the things we learned from seminars and talking to experienced ( and even not so experienced) boaters, plus how we got on steering and maneuvering a 55 ft narrow boat for the first time with a photographer and full marina. Oh, and for my top 10 tips on buying a Narrow boat, finding your perfect marina and more, click here.